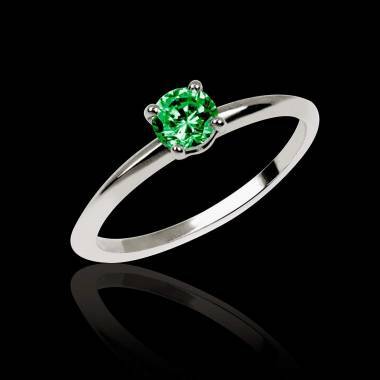 A lasting symbol of elegance, hope and admiration, emeralds are one of the most sought after precious gemstones, an emerald engagement ring hereby being the ideal choice if you are looking for a unique engagement ring for your loved one. 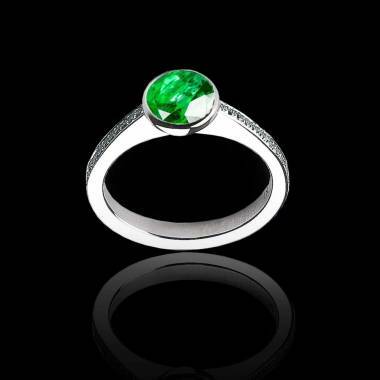 Perfect for women who adore all things green, the emerald is also May’s birthstone, and will make a very personal and special token of your love. 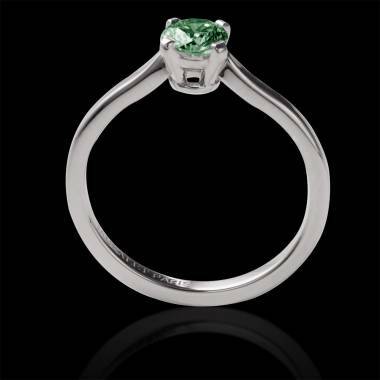 A beautiful and scarce gemstone, the emerald was prized as early as 4000 BC, and already being mined in Ancient Egypt. 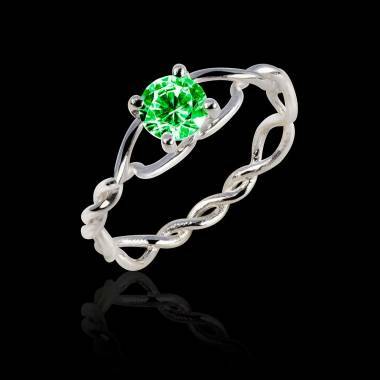 The emerald is a truly captivating gemstone that is now known for its striking green tones. 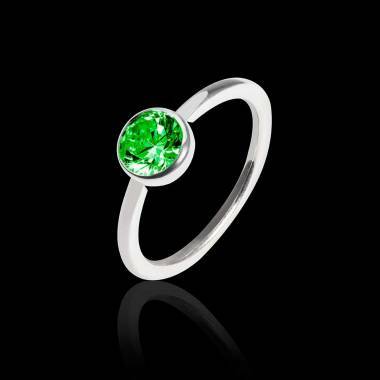 It not only fascinates because of its colour, but also because of its particularities. 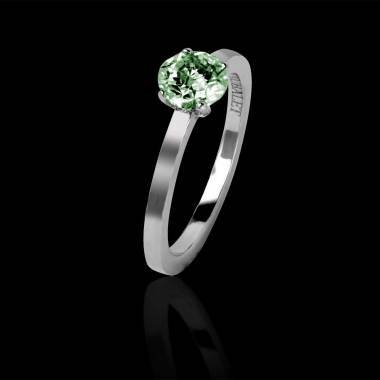 Indeed, this gem is known for having natural unique inclusions which guarantee its authenticity and differentiate it from the rest of the big four, the diamond, ruby and sapphire. 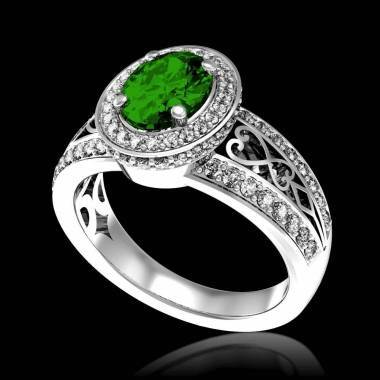 An emerald will always be green, although overall nuances can vary from pale green to a dark green, with tones in the middle of the stone most often being nuances of yellow and blue. 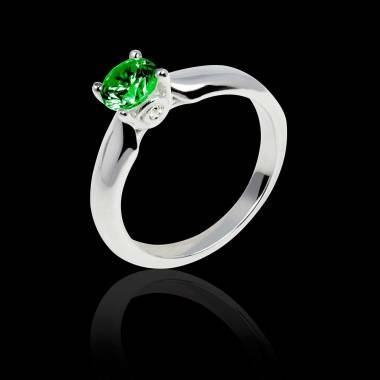 Find out more about our range of emeralds. 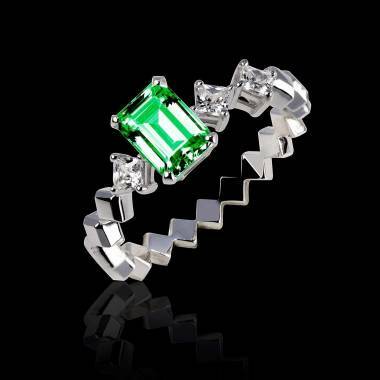 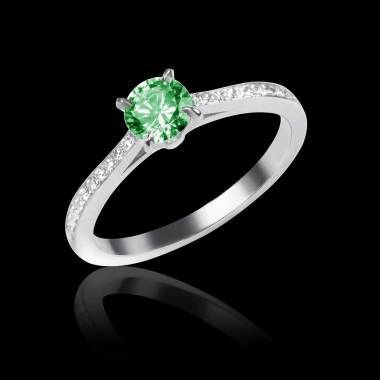 When choosing an emerald engagement ring, make sure you consider the quality of the stone. 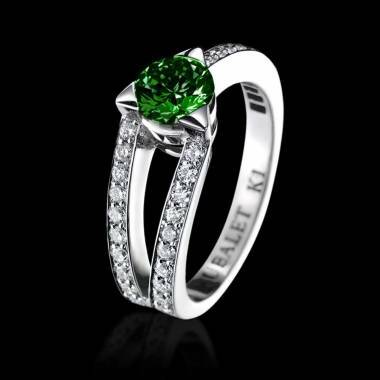 As the emerald is a relatively soft gemstone, usually scoring in between 7.5 and 8 on the Mohs Spectrum (diamonds usually scoring 10 and rubies and sapphires 9) its size is usually smaller than for other gemstones, in order to make it more resistant to potential shocks. 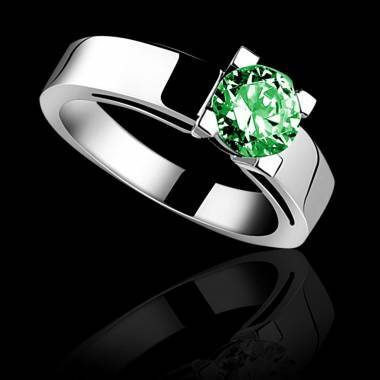 This is why bigger emeralds are often more expensive than other gemstones of the same size, in fact, for the same number of carat, an emerald can be twice or even three times as valuable as a diamond. 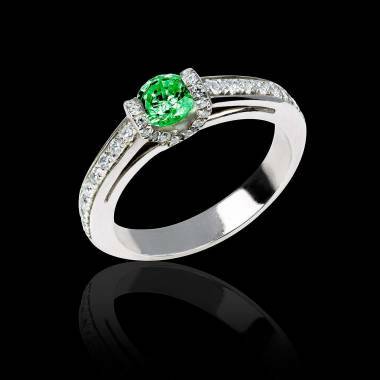 Inclusion free emeralds are also amongst the rarest gemstones, hence making them incredibly valuable. 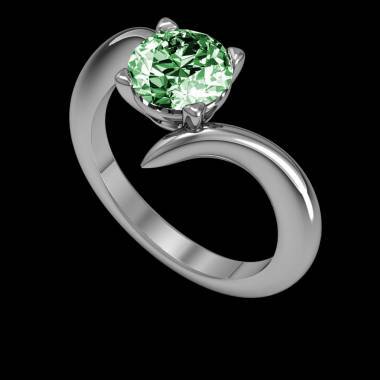 Jaubalet Paris offers a wide selection of engagement rings that you may order directly online, to be crafted by our jewellers in Paris. 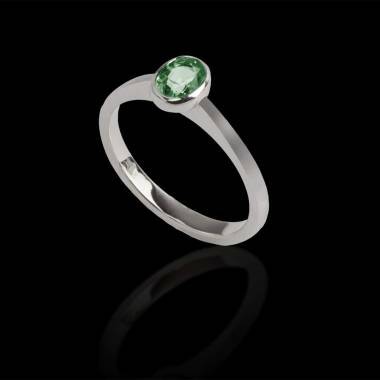 You can also personalise and customise all our pieces of jewellery to create a unique custom-made ring, whether she would prefer white gold, yellow gold, rose gold or platinum to compliment her emerald. 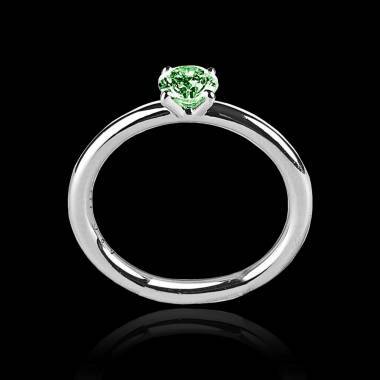 Make sure to also view our range of blue sapphire, ruby or diamond engagement ring. 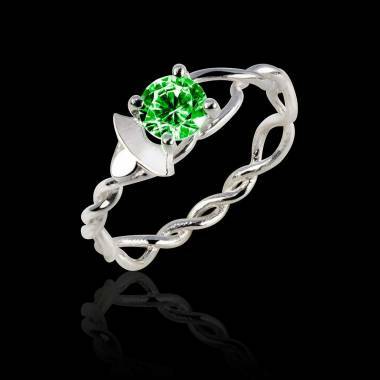 Make an emerald engagement ring the perfect token of the promise of your love.